Greetings from **SwimCSI.com, we appreciate that ***you have taken the time to visit our site and hope you have an enjoyable experience. By use of swimcsi.com you consent to abide by all Terms and Conditions found there in. 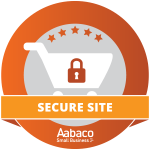 We hope you find this site user friendly and have an excellent experience from browsing to purchasing. Our customer service is friendly, professional, and honest treating you with respect. All ****content, including but not limited to: Terms, Conditions and Polices on SWIM CSI is subject to change at any time without prior notice. You should read all Terms, Conditions and Policies on s any time you use this site to become aware of such changes. Any link to a third-party website (defined as not owned or operated by AZ Pool Supplies, Inc.) is provided “as is” and users may use at their own risk. AZ Pool Supplies, Inc. does not take any responsibility for issues that may arise from third party website use. Please review all policies for any third party site you visit as provided by that site. Poolvacparts.com is happy to provide any assistance possible but cannot provide assistance regarding third party sites. SWIM CSI . COM is the sole property of AZ Pool Supplies, Inc., A Nevada Corporation. AZ Pool Supplies, Inc. Cooperate Office is located in and operated from the state of Arizona, United States of America. Poolvacparts.com adheres to its state laws first and foremost regarding legal issues unless a higher law, such as Federal law supersedes such state laws. By using Poolvacparts.com you agree to the aforementioned without regard to the principles of conflict of laws. Though we take time to ensure our sites are error free, it may be the case that an error presents itself on SwiM CsI. Use of any AZ Pool Supplies, Inc. site is agreement that AZ Pool Supplies, Inc. is not held liable for any content errors of any type, including, but not limited to typographical errors. Upon notification of errors we will immediately take steps to address them. You also agree that AZ Pool Supplies, Inc. is not required to honor pricing that is in error regardless of the reason. AZ Pool Supplies, Inc. cannot honor errors due to product descriptions or image differences regardless of the reason. Manufacturers can change the physical look, internal composition, and operation of their products at anytime, without any notice and corrected information may not immediately be available regarding such changes. In most cases such errors will only be addressable by the manufacturer of that product. Manufacturers are specialists of their product and will have a far greater working knowledge of their products. If needed AZ Pool Supplies, Inc. Customer Service Representative can help customers get in contact with Manufactures. SWIM csi.com attempts to display the proper color of all products but cannot guarantee 100% accuracy of colors because of many factors, such as; the quality of camera that took the image, the device that ported the image into the computer, manufacture changes, the type of monitor being used to view the image, etc. AZ Pool Supplies, Inc. is not a manufacturing company and does not guarantee nor offer a warranty on any products purchased from any AZ Pool Supplies, Inc. sites. All products normally carry a Manufacturer’s warranty, and the terms and conditions are provided solely by the manufacturer. Visit our Return Policy page and Manufactures page for additional information. By submitting content to any AZ Pool Supplies, Inc. site such as, but not limited to, comments, product reviews, images, text, etc., you agree to allow AZ Pool Supplies, Inc. unrestricted use of said content. Failure to disclose that submitted content is copyrighted or trademarked makes you responsible from any legal ramifications that result from its use. At the time of a submission, request for compensation must be explicitly clear and AZ Pool Supplies, Inc. reserves the right to decline the use of any content for any reason. AZ Pool Supplies, Inc. may “host” submitted content, such as, but not limited to comments, product reviews, customer provided FAQ’s, recommendations, forums, etc. Hosted content is provided “as is”. AZ Pool Supplies, Inc. is not responsible for any damages, losses or injuries that result from use of such information. It is highly recommended that the reliability and accuracy of any information from such submitted content be checked, we recommended using information verified by licensed professionals only. swim-csi.com may, at any time and for any reason monitor, edit or remove content from any hosted content area that is specifically provide by Poolvacparts.com, such as, but not limited to: blogs, comment boxes, forums, etc. By submitting content Poolvacparts.com is granted all rights to the content including the use of the submitter’s information such as name or alias that was provided with the submission. - Submit information designed to purposely cause damage/injury. Any party that submits prohibited content will be solely responsible for any legal actions regarding their submission. Should any part of a Poolvacparts.com policy be construed as invalid, void, Illegal, or for any reason unenforceable, that policy, or part, shall be considered severable and shall not affect the validity and enforceability of any remaining policies. swim CSI IS THE PROPERTY OF AZ POOL SUPPLIES, INC., A NEVADA CORPORATION AND ALL CONTENT PROVIDED IS DONE OS ON AN "AS IS" AND "AS AVAILABLE" BASIS. AZ POOL SUPPLIES, INC. MAKES NO REPRESENTATIONS OR WARRANTIES OF ANY KIND, EXPRESS OR IMPLIED, AS TO THE OPERATION OF THIS SITE OR THE INFORMATION, CONTENT, MATERIALS, OR PRODUCTS INCLUDED ON THIS SITE. YOU EXPRESSLY AGREE THAT YOUR USE OF THIS SITE IS AT YOUR SOLE RISK. TO THE FULL EXTENT PERMISSIBLE BY APPLICABLE LAW, AZ POOL SUPPLIES, INC. DISCLAIMS ALL WARRANTIES, EXPRESS OR IMPLIED, INCLUDING, BUT NOT LIMITED TO, IMPLIED WARRANTIES OF MERCHANTABILITY AND FITNESS FOR A PARTICULAR PURPOSE. AZ POOL SUPPLIES, INC. WILL NOT BE LIABLE FOR ANY DAMAGES OF ANY KIND ARISING FROM THE USE OF THIS SITE, INCLUDING, BUT NOT LIMITED TO DIRECT, INDIRECT, INCIDENTAL, PUNITIVE, AND CONSEQUENTIAL DAMAGES. CERTAIN STATE LAWS DO NOT ALLOW LIMITATIONS ON IMPLIED WARRANTIES OR THE EXCLUSION OR LIMITATION OF CERTAIN DAMAGES. IF THESE LAWS APPLY TO YOU, SOME OR ALL OF THE ABOVE DISCLAIMERS, EXCLUSIONS, OR LIMITATIONS MAY NOT APPLY TO YOU, AND YOU MIGHT HAVE ADDITIONAL RIGHTS. *Terms and Conditions refers to, but is not limited to, Terms, Conditions, Policies, Rules, etc. **Poolvacparts.com is also referred to as, but not limited to, Pool Vac Parts, AZ Pool Supplies, AZPS, us, we, site, website, or any other term that denotes the ownership of Poolvacparts.com. ***Any term specifically designed to denote a party that does not own Poolvacparts.com or have a partnerships there of, such as, but not limited to, you, guest, user, etc. ****Content refers to anything physical or intellectual on the Poolvacparts.com website and refers to, but is not limited to, source code, text, images, site layout, etc.